SwainCo. Crawl Space and Basement Repair is a family owned and operated Indianapolis crawl space waterproofing, crawl space vapor barrier, crawl space encapsulation, crawl space mold remediation, crawl space insulation contractor and foundation repair contractor providing services in Indianapolis and surrounding areas. Offering the most effective and affordable solutions to all your crawl space repair needs. SwainCo. Crawl Space and Basement Repair is considered Indy's premiere crawl space contractor service provider. Our certified crawl space technicians provide expert, professional crawl space repair services. We have over 30 years experience in the crawl space waterproofing and crawl space repair industry in Indiana. We service all Indiana crawl space problems, including wet crawl spaces, crawl space insulation, crawl space vapor barriers, encapsulation, crawl space wood damage, and much, much more. We service central Indiana crawl spaces (including surrounding areas, Indianapolis, Carmel, Fishers, Zionsville, Brownsburg, Greenfield, Greenwood, Lafayette, Kokomo, Columbus, Franklin) SwainCo. crawl space and basement repair solutions are proven, time tested, and guaranteed. We are Indiana's most trusted experts in crawl space wood repair, crawl space vapor barriers, crawl space waterproofing, encapsulation, and much more. Our certified, professional crawl space technicians provide Indiana homeowners with complete satisfaction. Click here to see what our customers have to say about us. 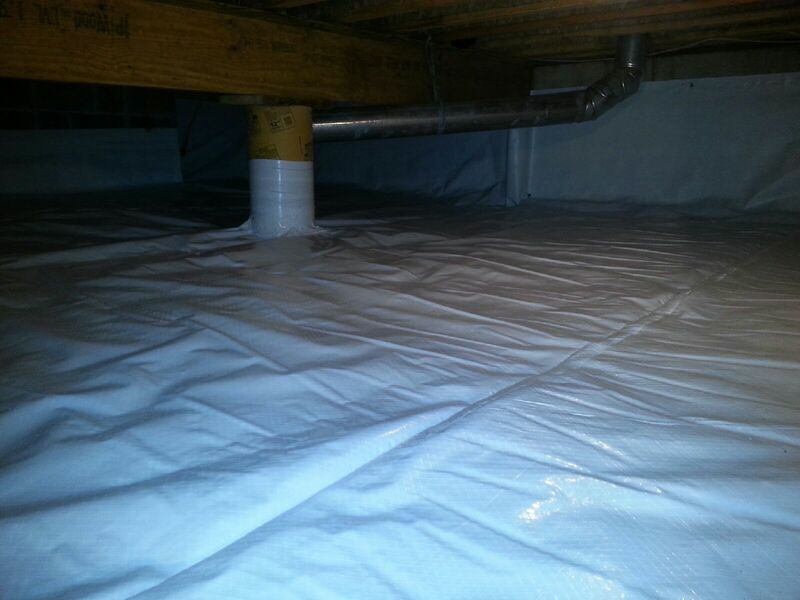 Our Indianapolis crawl space waterproofing contractor services are done by experienced, professional experts. Our Indiana crawl space repair and basement repair services include crawl space waterproofing, drainage systems, sump pump installation, crawl space encapsulation, mold treatments, foundation repair, crawl space vapor barrier, crawl space insulation, structural wood repair, and much more. SwainCo. is the most trusted name in Indiana for crawl space contractor repair. We are Indiana's original crawl space experts. Providing Indiana crawl space repair services that are warranted, proven methods. Call today or click here for a free crawl space or basement inspection.